I started making these a few years ago because my daughter loves sprinkles, and I thought this would be fun and easy to make around the holidays. The first year we just dipped them in chocolate, and then I let her go nuts with the sprinkles. The second year, I found an amazing hole-in-the-wall cake/candy store, where you can buy big hunks of caramel. It is basically like buying a giant one of these. I sliced the caramel very thin, and then wrapped a piece around the top of a pretzel rod, very carefully. Then, I dipped them in chocolate and let her go nuts with the sprinkles. They were amazing!!! 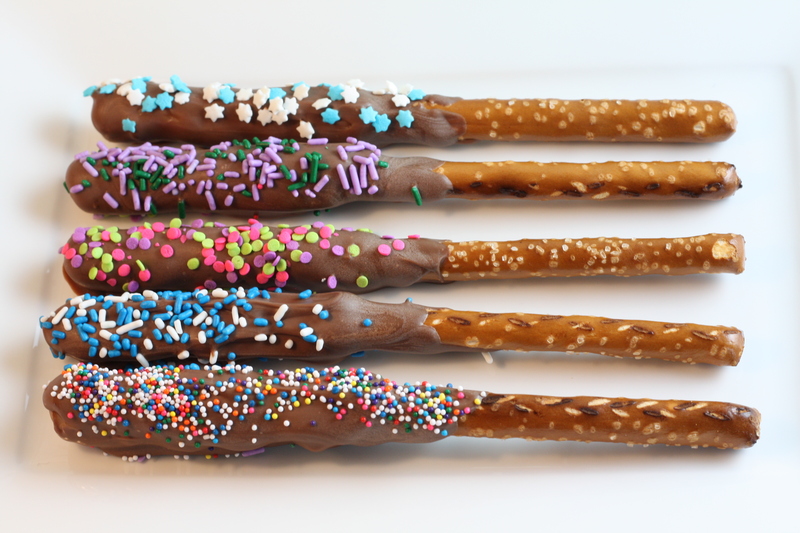 Now my friends and neighbors feel like they have to remind me that they are looking forward to the pretzel rods every year – just so I am sure to make them. 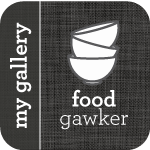 I cannot take credit for the name – my sister-in-law was experimenting with pretzel snacks in one of her early jobs as a food consultant – and she created this name – I loved it. Thanks for letting me use it! Slice the caramel very thinly – if you can’t get it thin – try rolling it out afterwards with a rolling pin. Wrap it around the top part of the pretzel rod. Melt the chocolate over a double boiler, or using the microwave in 30 second intervals – stirring well after each one. Dip the pretzels into the melted chocolate – you may need to use a spoon to make sure that the chocolate covers the caramel. Place on a cookie sheet with parchment paper. Decorate with sprinkles quickly before the chocolate melts. So fun! I’m curious whether you’ve found some favorites in the sprinkles department. I certainly find I like some types better than others but haven’t found a preferred source. BTW – I’m so enjoying following your culinary chronicles. Merry Christmas, Dawn! Love the patterns on the chocolate, they all look delicious! I can attest that they are delicious. Dawn, just because you’ve finally made the recipe public doesn’t mean I won’t expect them every year. I will not be able to make them as tasty as you and H.
I echo Jamie’s sentiments that while we’re thankful you published the recipe, please don’t stop making these (or distributing to neighbors) next holiday season. We look forward to them every year! Yummy. And we have no illusion that we can replicate exactly how good yours always turn out. You both are too funny – I promise to keep making these – but what if I find something better?